The goal of the Nonpoint Source (NPS) Pollution Prevention Program is to reduce NPS pollution on the Nez Perce Reservation, restore and maintain degraded systems/habitats, preserve natural ecosystems, and educate and assist landowners and the general public on implementing best management practices (BMPs). The NPT Water Resources Division has implemented numerous projects to decrease or prevent NPS. To date, the program has fenced over 100 miles of stream, planted several hundred miles of riparian vegetation, assisted landowners in no-till farming practices, replaced or repaired roads and culverts that were negatively impacting water quality, helped to install off-site watering structures for livestock, and engineered and constructed large-scale stream re-meandering projects. Best management practices, or BMPs, refer to measures taken to reduce or prevent NPS pollution. Applications of BMPs include all facets of landuse and can include one or a combination of more than one BMP. 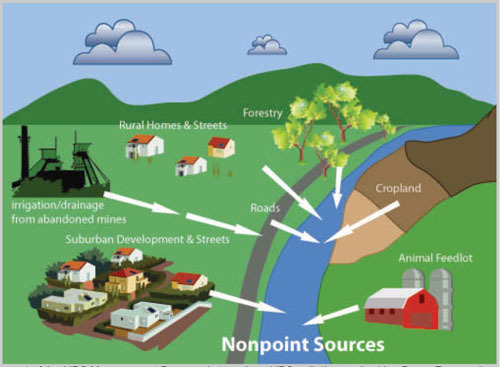 For example, a few of the BMPs that can be used to reduce NPS pollution from agricultural practices include no-till farming, cover crops, riparian fencing and offsite water to keep cattle out of the streams, and riparian planting and/or riparian buffers. These help to decrease nutrient and sediment NPS pollution, stabilize the stream banks, and decrease water temperature by providing shade to the stream. The beaver, the second largest rodent in the world, is well-known for its wide, flat tail, used for slapping the surface of the water to warn other beavers of approaching danger. Trees provide a beaver’s favorite winter food — bark and leaves. In summer other vegetation, especially aquatic plants, make up their diet. The American beaver can be found throughout North America, except for the most northern parts of Alaska. Like other beavers its feet are webbed for better swimming. The ears and nose snap shut when the animal dives underwater, and the eyes have a third transparent eyelid that helps the beaver to see below the surface of the water. Its dense, yellowish-black, black or reddish-brown fur retains body heat even in the coldest water. A secretive and nocturnal creature, it is awkward on land and thus vulnerable to predators. Four to eight family members make up colonies and territories are marked with scent mounds —piles of mud that the beavers scent with glandular secretions. Beavers sometimes reside in a burrow at the water’s edge, but more often can be found setting up house in a dome-shaped lodge, built with branches and trees cut down with its large incisors. From an ecological standpoint, beavers are one of the most important animals in Georgia. Other than man, no animal makes such dramatic landscape changes to the habitat in which they live. Ponds created from beaver dams provide excellent wetland habitat for numerous plants and animals. Beaver ponds are critical habitat for many species of waterfowl and other migratory birds. Landowners benefit from having beaver ponds on their property in the form of additional hunting, fishing and bird watching opportunities. Beaver ponds are useful for irrigation, flood control and help maintain water tables during droughts. Beaver ponds also act as a natural filtration system, removing silt and other impurities from water. 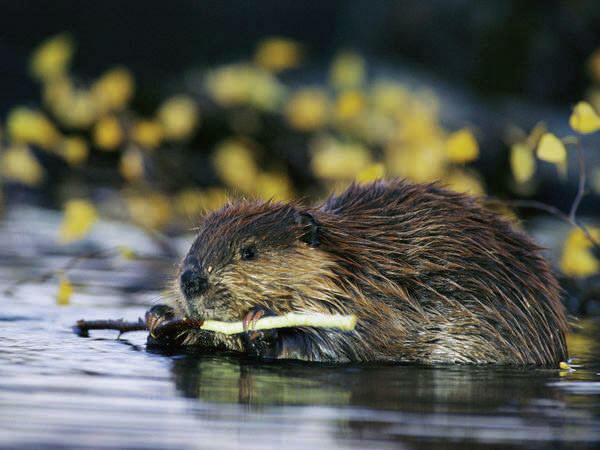 Historically, beavers had a positive impact on the economy and were the most widely and intensively sought natural resource in North America during the 1700’s and 1800’s. Their fur was used for clothing, especially hats in Europe during the 1800’s. Oil from their castor glands was an essential component in many high quality perfumes. Beaver coats and other garments were extremely desirable throughout much of North America. Today, beavers remain one of the most valued fur sources, yet prices remain relatively low. However, beavers are still desirable for coats, hats and other outer garments and their castor glands are marketable for use in the lure or perfume industry. Flooding caused by dams may result in damaged timber, crops or pasture. plugged culverts or paying trappers for nuisance beaver removal. Please navigate to the documents and reports listed below to see how we are working to strike a balance between ecology and economy. to restore the effect of the aggradation on riparian habitat.